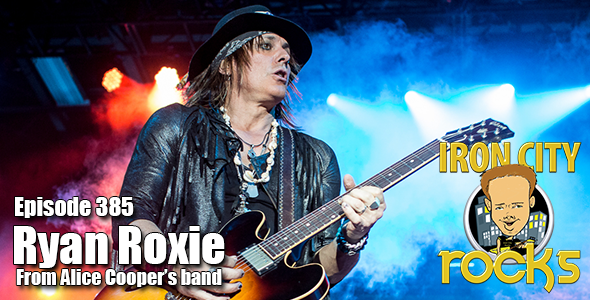 Joining us on the 385th edition of the Iron City Rocks Podcast is Alice Cooper guitarist Ryan Roxie. Ryan has just release the fourth single, “Me Generation” from his debut solo album Imagine Your Reality. Ryan will be doing a show with members of the Alice Cooper band (no Alice or Nita) on Thursday, October 25 at the Smiling Moose in Pittsburgh and the following night the full Alice Cooper band will be at Stage AE. Ryan stops by to talk about the album, the tour with Alice and what you can expect from the band-only show.